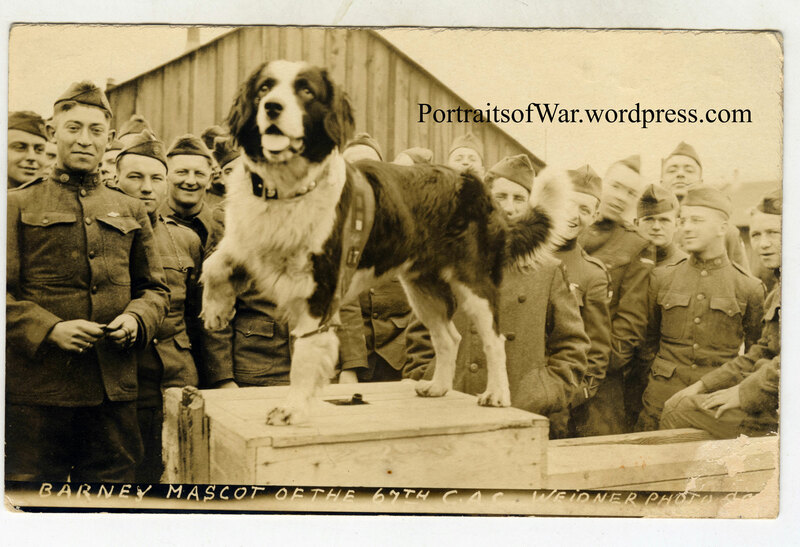 It’s been a long time since I’ve posted here to PortraitsofWar, so I’m taking a quick moment to add a recently acquired real photo postcard of a St. Bernard mascot from the 67th Coastal Artillery Company. He’s even sporting his own uniform! Check out the 1st Army variant patch with the 67 denoting the unit number and a double overseas chevron for a year of service. Good work Barney! Mascot photos are one of my favorite avenues of WWI photo collecting. They are relatively hard to come by and are tough to research. All the better for a unique challenge when trolling through the pages of eBay. It’s been a long month for us here at PortraitsofWar, and we apologize for a lack of posting since the last photo on April 3rd. In today’s post we will be looking at a different side of the war than normally highlighted on this blog. 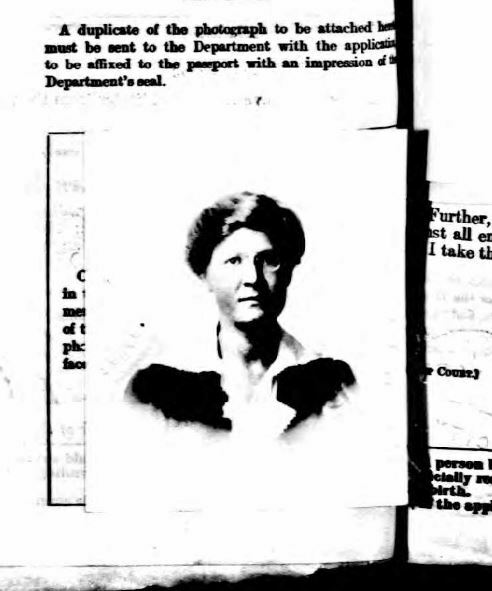 Normally focused on American portraits, photos, and slides, we will be dissecting the story behind a German prisoner of war being held in Marseilles, France in 1918. 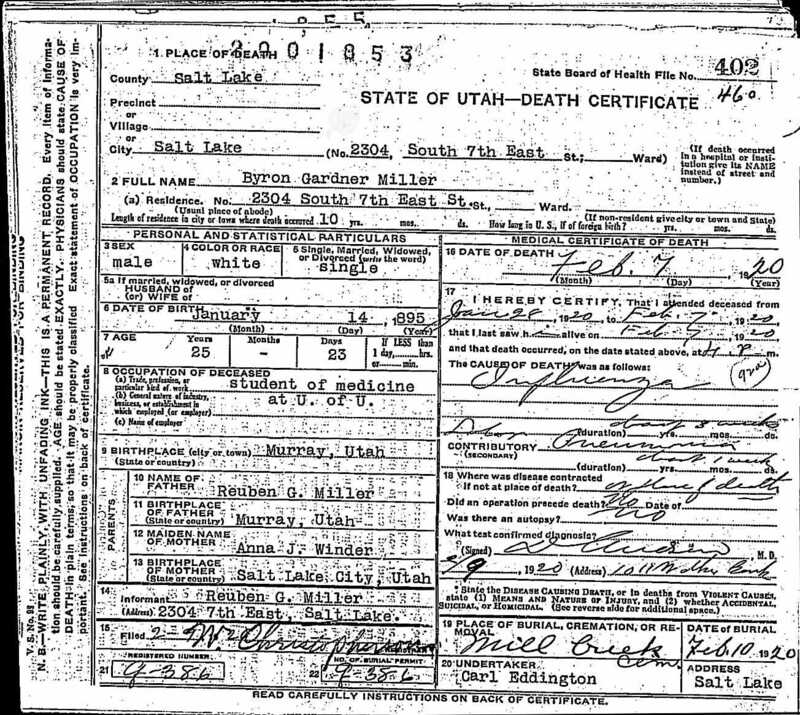 Before delving into the biographical information hand inscribed on the reverse side of the image, we will inspect and identify the visual imagery captured on the obverse. 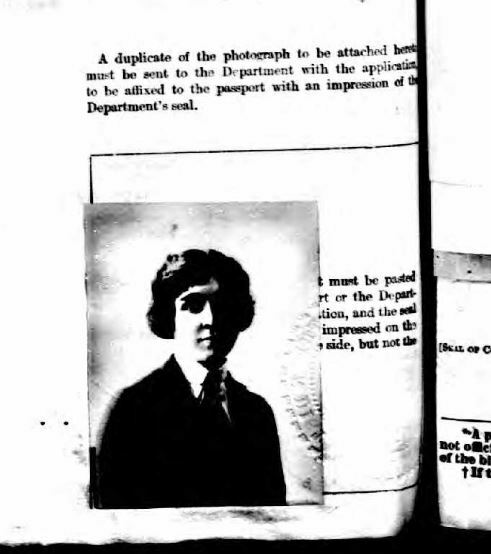 The first thing of note is the format of the image. 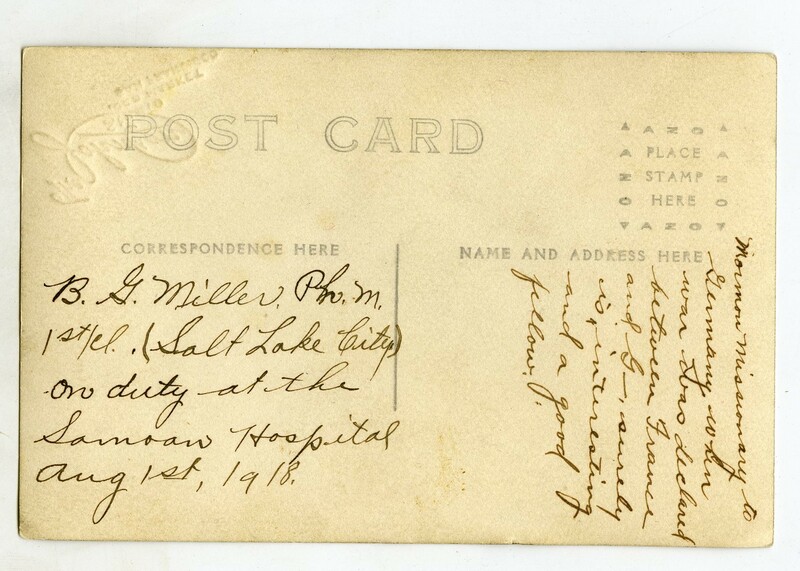 The photo was printed as a real photo postcard (RPPC) and was likely obtained in a pack of 6 or 12. It’s not uncommon to see identical copies of WWI RPPC’s pop up on the market from time to time. 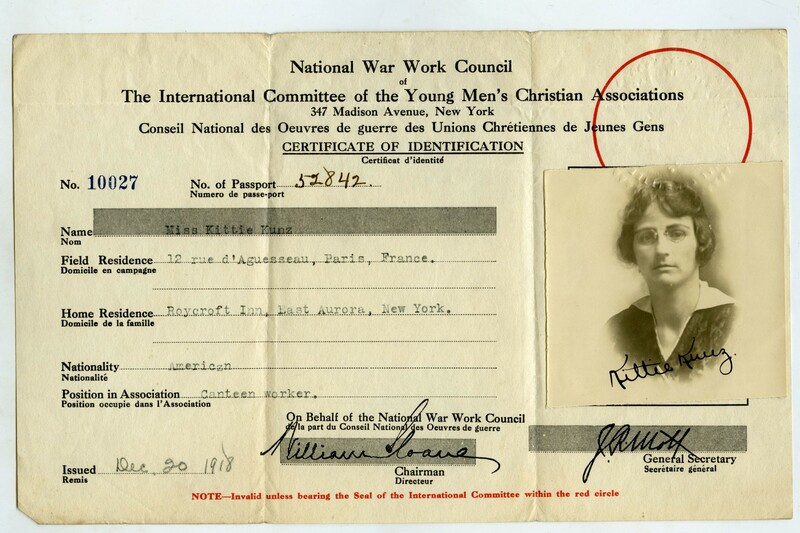 The consistent size, quality and subject matter of these images make them a highly collectable form of WWI militaria. The three major identifying features present on the front of the RPPC will need some research using easily-accessible internet resources. Upon quick glance it’s clear to see that the buttons running down the center are a rimmed (see the raised edge along the outside of the button) with a crown in the center. 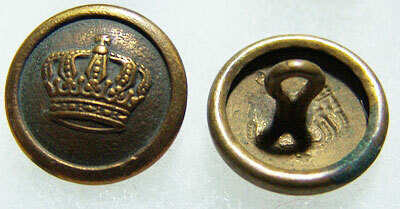 This type of button is widely known as the standard button of a WWI German soldier and were made to be removable to allow for the cleaning of the uniform. This was a common standard of many nations during WWI. 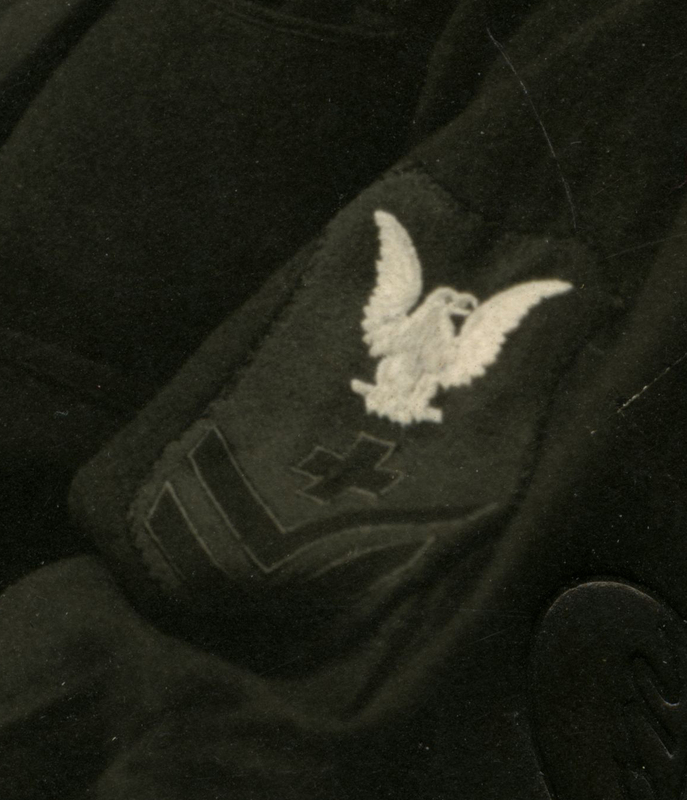 The next identifiable feature of the tunic is the visible decoration of the collar. 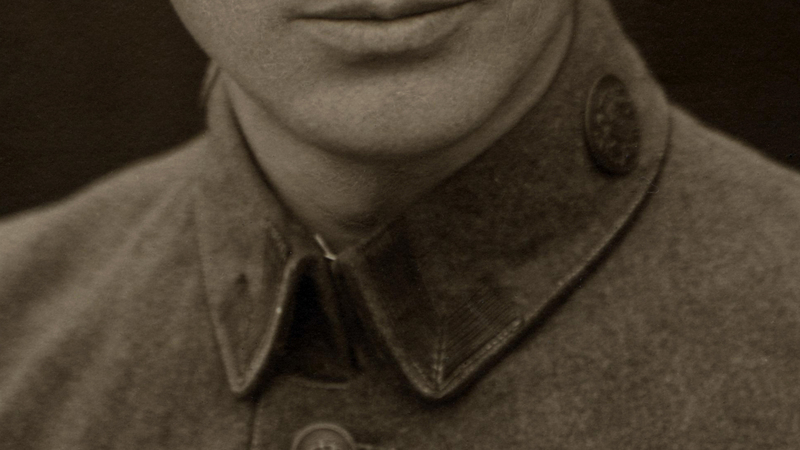 Here at PortraitsofWar, we’re use to identifying WWI doughboy collar insignia, but had to rely upon outside sources to help with this particular post. The first thing to call attention to the neck region is the disc on the left side of the sitter’s uniform. 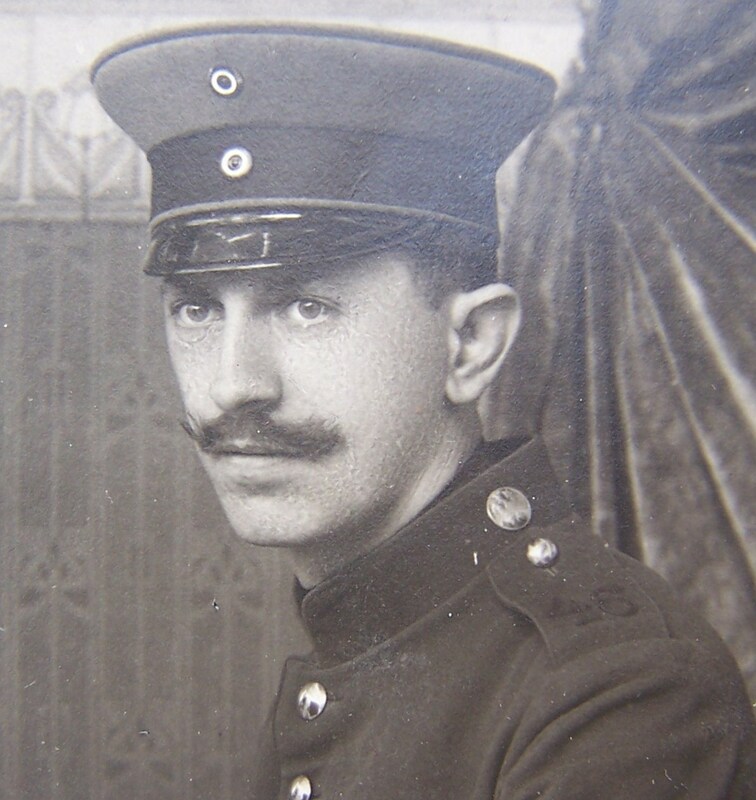 The disc on the left hand side of the photo is known as an Non Commissioned Officer collar disc (sometimes as disk) and can infrequently be seen in period studio photographs. A lengthy internet-based search only turned up a small handful of images, the best of which can be seen below. 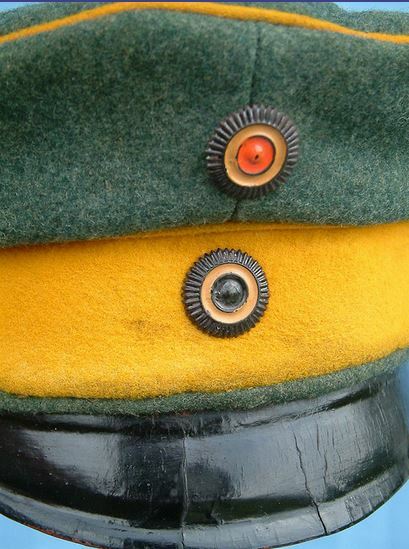 The circular insignia seen on the cap above are known as cockades, or kokarden in German. Sadly, the photo we’re working with is in black and white, but typically each cockade color helps identify the unit type, region and era of creation. So what do we know just by viewing the front of the image? 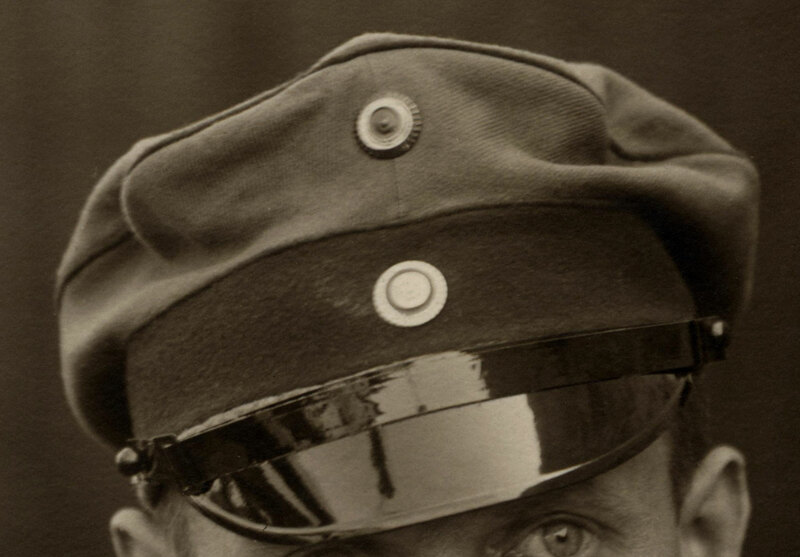 We certainly know the soldier is an NCO in the German Army during WWI. 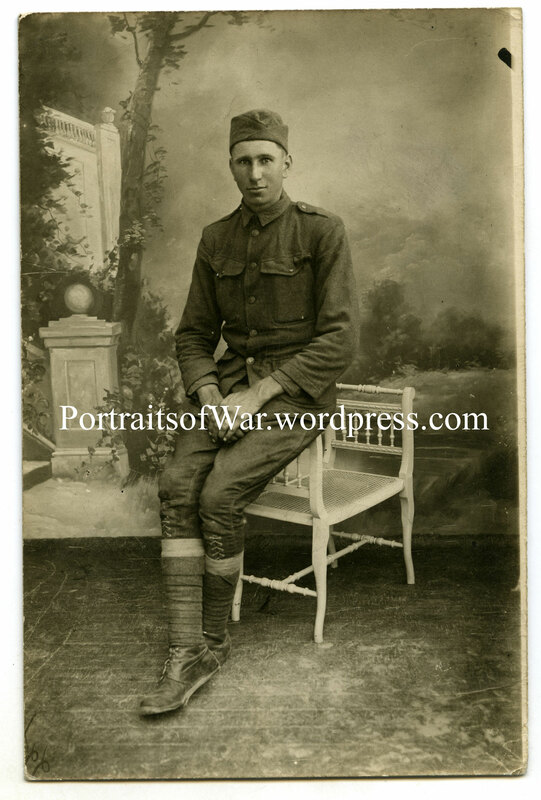 He’s sporting all the fittings associated with a non commissioned officer of the period, but doesn’t have all the extra tidbits normally associated with a WWI period phograph. Where are his ribbons, medals and weaponry? In the world of identifying WWI photos, the really important research material is always included on the backside (reverse) of the image. In this case, the German soldier oddly wrote in French to an unmarried friend or relative of his who was living in Dresden during the time. It’s very likely that he was writing to a girlfriend or close female friend, as the wording is very proper. 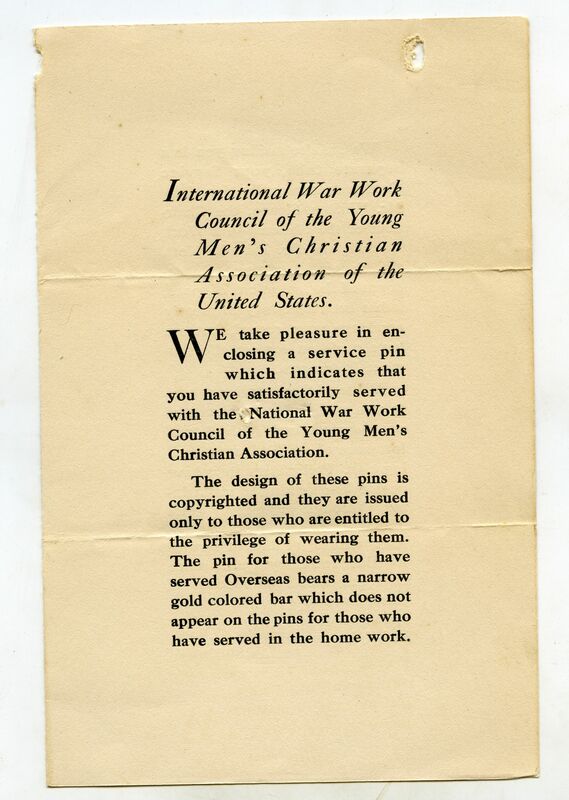 Please see below for a low resolution scan of the backside. What does the backside tell us? Firstly, it’s clearly a real photo postcard created to be sent to recipients. The CARTE POSTALE header is a clear indicator of it’s origin: France. 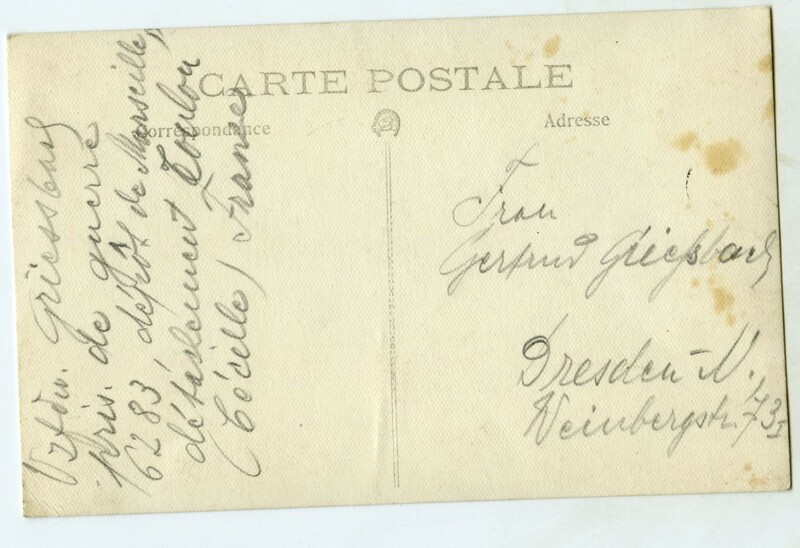 The sender of the postcard notes Marseille as his current location, and Dresden, Germany is the destination. 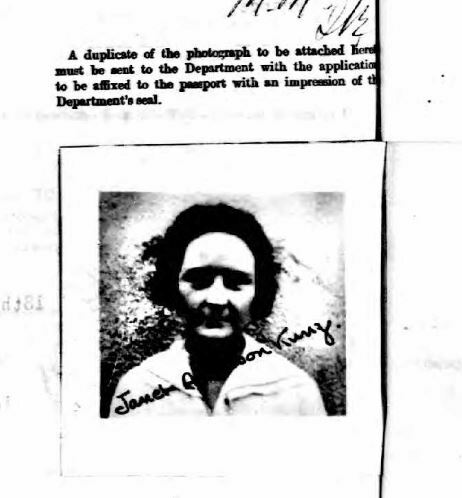 How do we interpret a real photo postcard without knowing anything else about the people included? Isn’t it strange that the postcard doesn’t include a message? 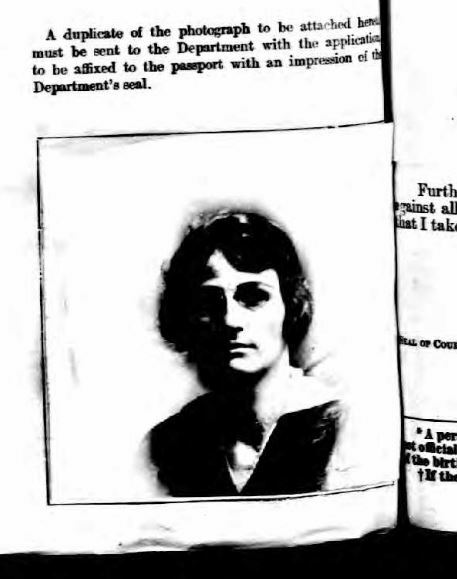 This infers a close connection between the writer and recipient. Perhaps she already knows about his wartime status. This section is typically reserved for messages but, in this case, relays the status of the photographed soldier’s military situation. 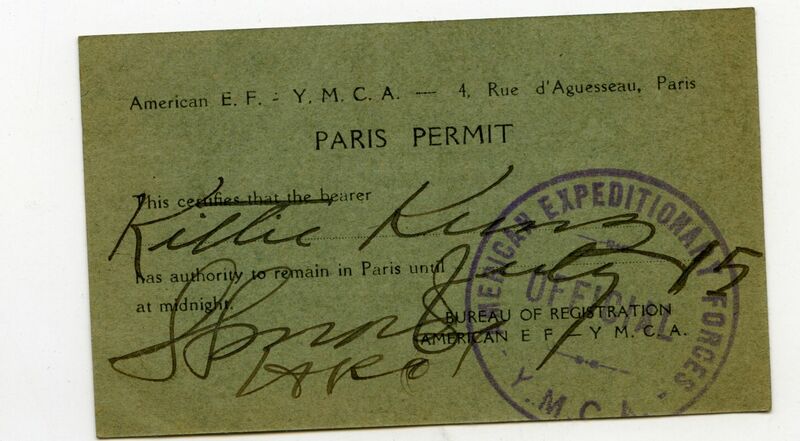 His handwriting is careful and is strangely written in French without the normal stylistic handwriting nuances of Germanic writing of the period, it becomes easy to make out the passage. 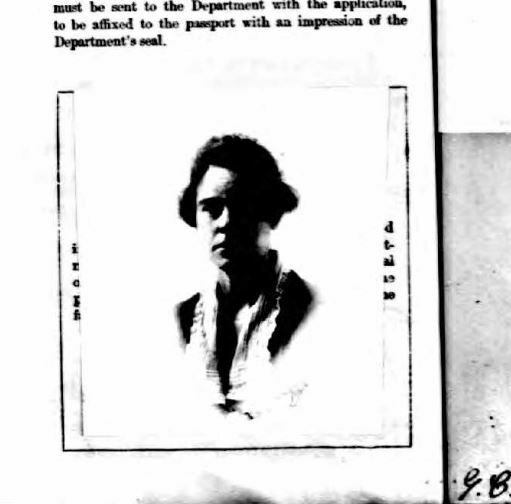 The surname of the sitter is uncertain at this point. Is is Greissbach, Greissback, Greissbarf or possibly Greiss back? The prefix Uxfdir. is short for Unteroffizier and can be easily related to a rank between corporal and sergeant most worldwide military rankings. 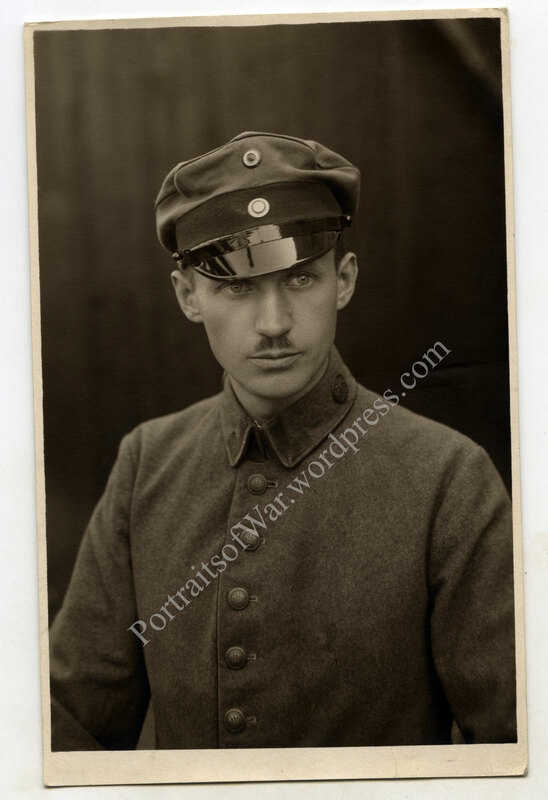 It’s odd that an Unteroffizier would wear an NCO collar disc, but that is an issue best left to the armchair historians who browse this blog. Who was it sent to? 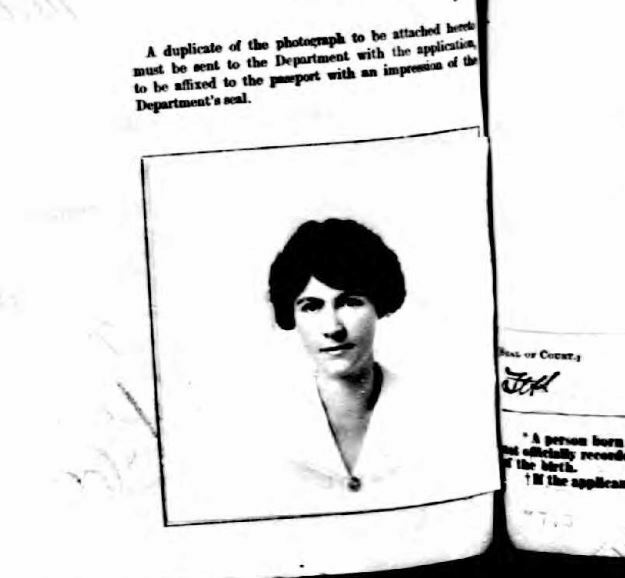 Was this woman living in Dresden at the time? 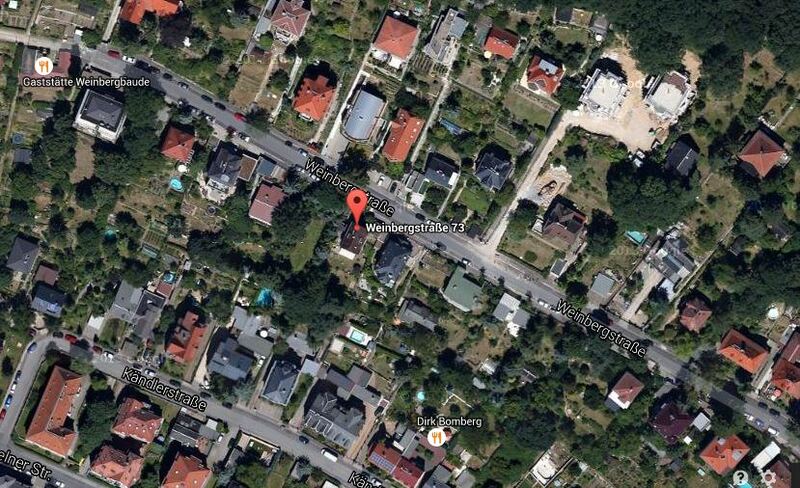 Does Weinbergstraße 1/73 I correspond with an apartment number in the city? And is this the house that the card was meant to be sent? 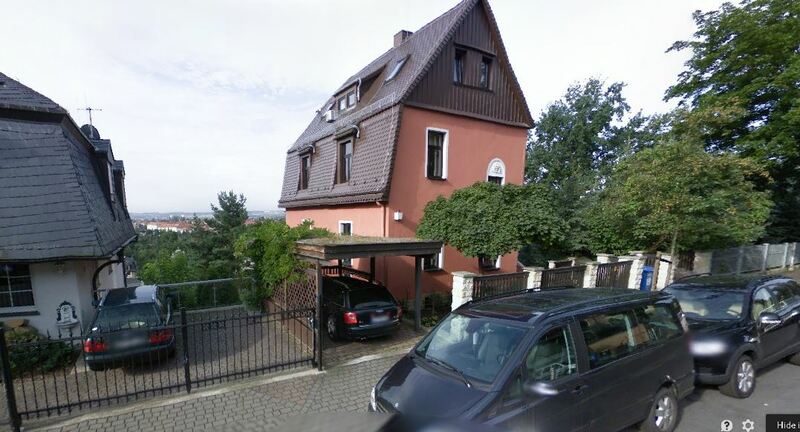 I recognize the Audi in the carport! I used to have the same model. 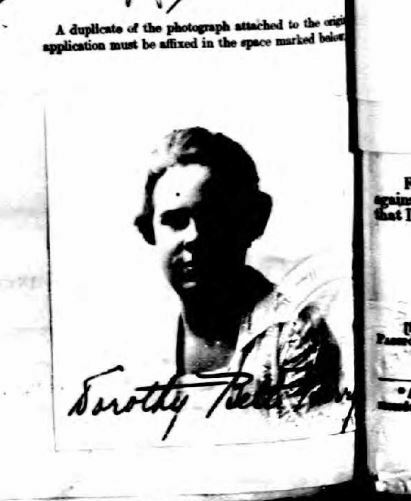 I need the help of German speaking friends to help decipher the last names of the sitter and the recipient. Hopefully we can narrow down the search using the power of the internet. If you have a clue that may help, please don’t hesitate to comment on this post! Each of the 116, 516 US soldiers, Marines and sailors killed during WWI deserve a narrative on the world wide web. 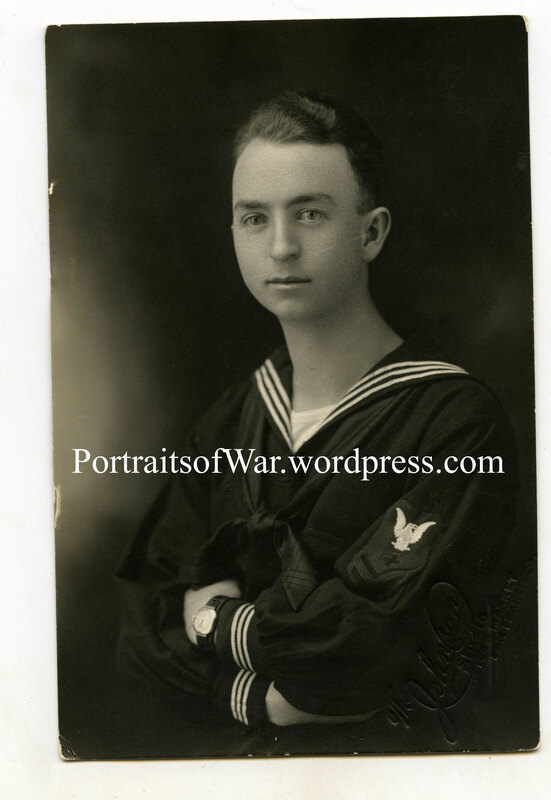 In this case, a photo of Edward Prochaska of Silver Lake, MN recently arrived in the mail from an eBay seller in the Midwest. 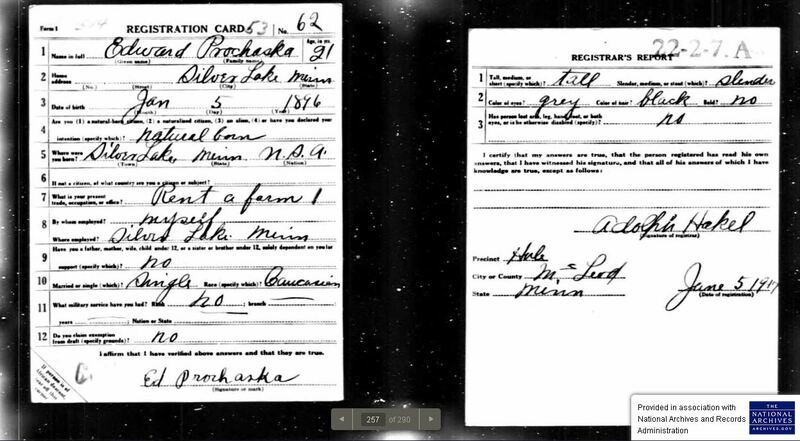 I purchased the photo after doing some brief research on the photo, finding that Prochaska was killed in action while serving with the 118th Infantry, 30th Division. Some excerpts from the book are incredibly detailed and give us a unique view into the experiences of a doughboy on the frontlines. My favorite World War One photo in my collection has to be the following real photo postcard shot taken in Paris in December of 1918. 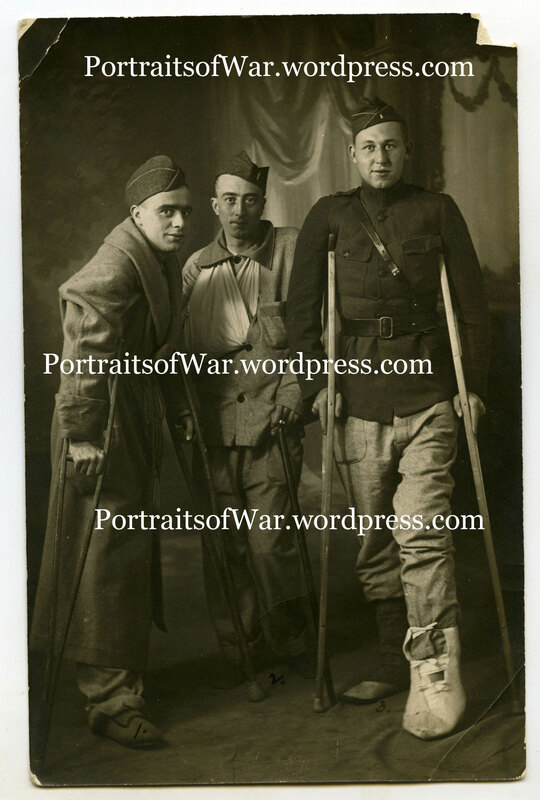 The content and context of the photo – three wounded officers posing in a French studio before being sent home – is good enough to grace the “top shelf” of any WWI photo collection. The fact that they are named on the reverse makes it all the more interesting. For the purpose of this post, I will identify one of the officers and track down his service history. 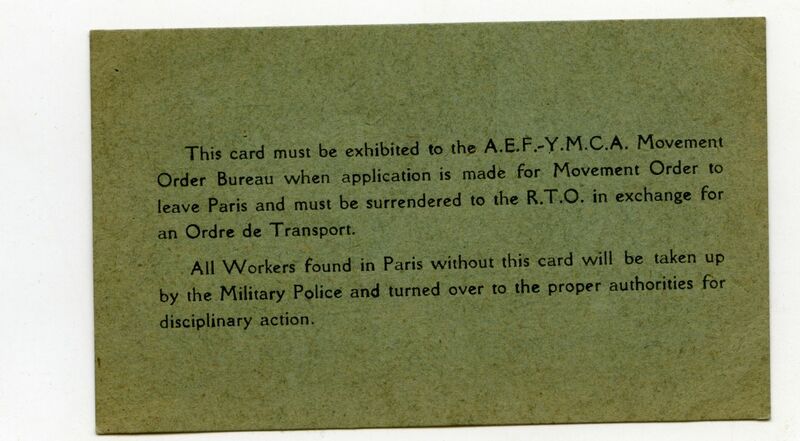 For extraordinary heroism in action in the Bois de Belleau, France, June 25th, 1918. With the assisting three sergeants, he started out to destroy the final stand of enemy in the Bois de Belleau, an impregnable position, where enemy guns were concealed by rocks and heavy shrubbery. Armed with only a pistol, he rushed the nest, which was offering the most violent resistance, and captured one officer and ninety men. Each of his men destroyed a nest and captured two of the enemy at each position. After effecting the complete reduction of the last element, he marched his prisoners in under a severe and harassing fire of the retreating enemy. 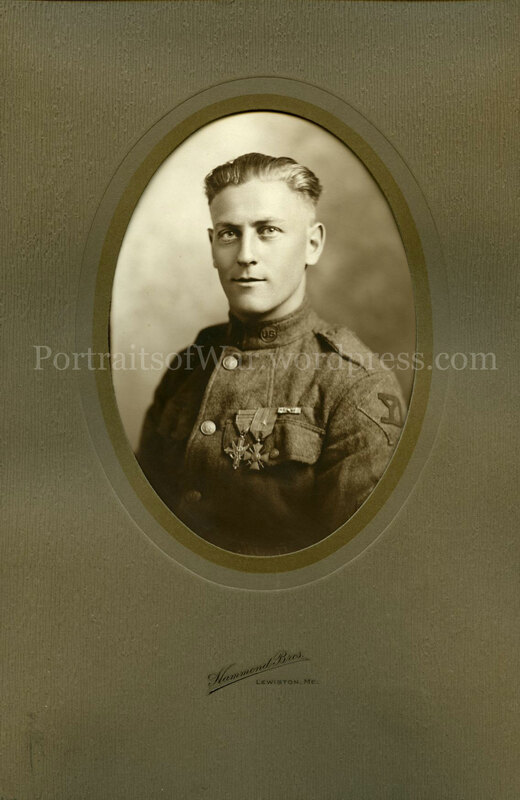 The Distinguished Service Cross is presented to Jacob Harrison Heckman, First Lieutenant, U.S. Marine Corps, for extraordinary heroism while serving with the 5th Regiment (Marines), 2d Division, A.E.F. in action in the Bois-de-Belleau, France, June 25, 1918 resistance, and captured one officer and ninety men. Each of his men destroyed a nest and captured two of the enemy at each po. 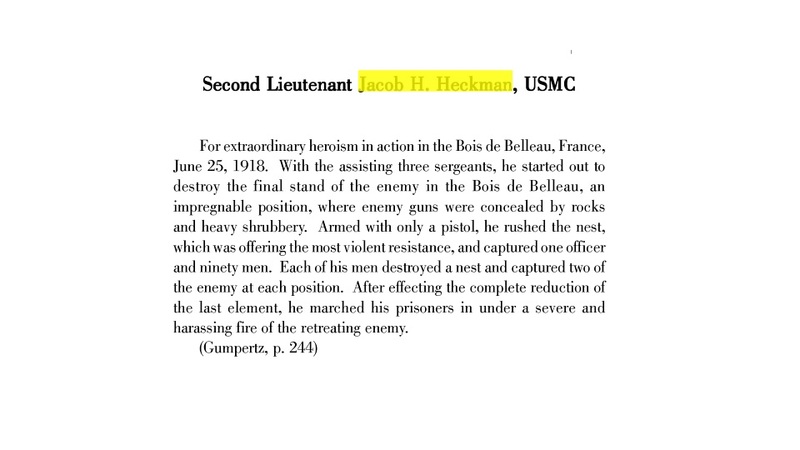 With the assistance of three sergeants, Lieutenant Heckman started out to destroy the final stand of the enemy in the Bois-de-Belleau, an impregnable position, where enemy guns were concealed by rocks and heavy shrubbery. Armed with only a pistol, Lieutenant Heckman rushed the nest which was offering the most violent sition. After effecting the complete reduction of the last element, Lieutenant Heckman marched his prisoners in under a severe and harassing fire of the retreating enemy. 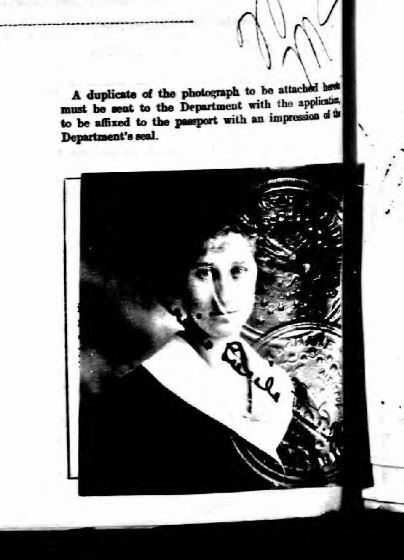 Everyone knows that I love Vermont WWI material, but I also enjoy collecting photos from other New England states as well. I have a handful from every state but only one from Maine. Now I have another! This fantastic interior studio RPPC has a ton of great qualities that drove me to make the purchase. 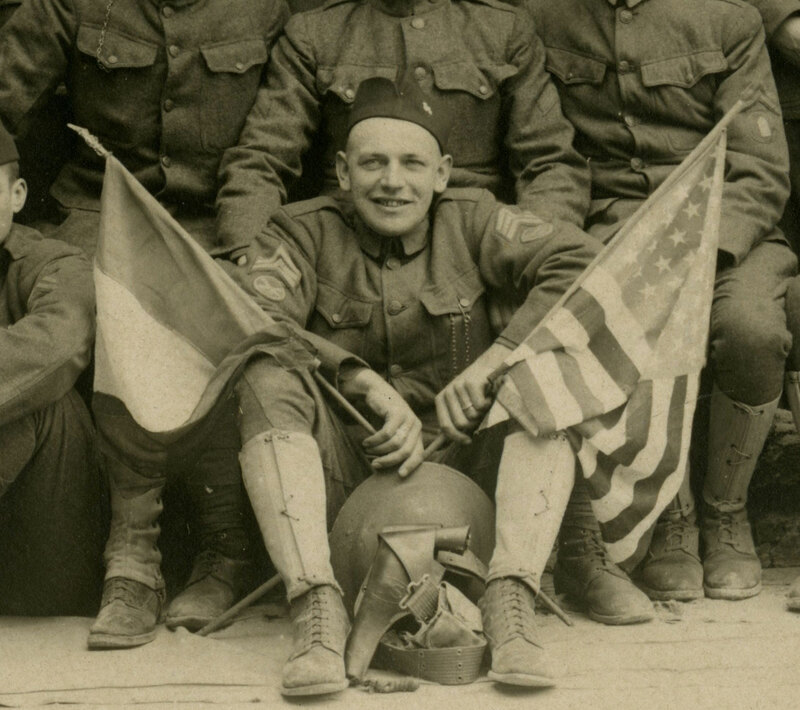 The crossed flags at center, the helmet and pistol props, the uniform details, and the identification on the reverse all make it a great shot to add to the collection. This particular group is comprised of men from Portland and Bath. Battery D of the 54th Artillery Regiment, C.A.C. 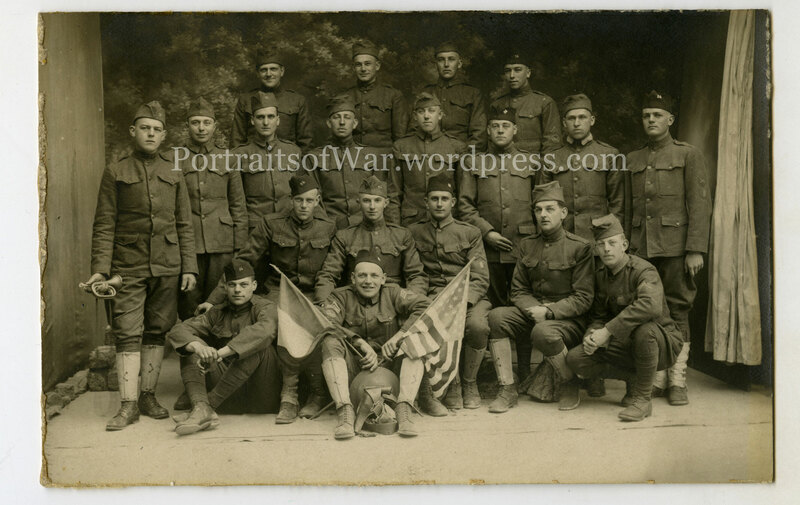 Identified to a Corporal Carl L. Pearson who I believe is positioned directly right of the flag, this shot shows a group of 19 soldiers posed in a French studio. This may be a record for my collection! I have a few with 6-8, but none with more than 10. 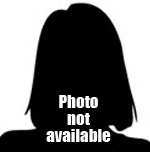 Pearson was from West Falmouth, Maine and was born in January of 1893. 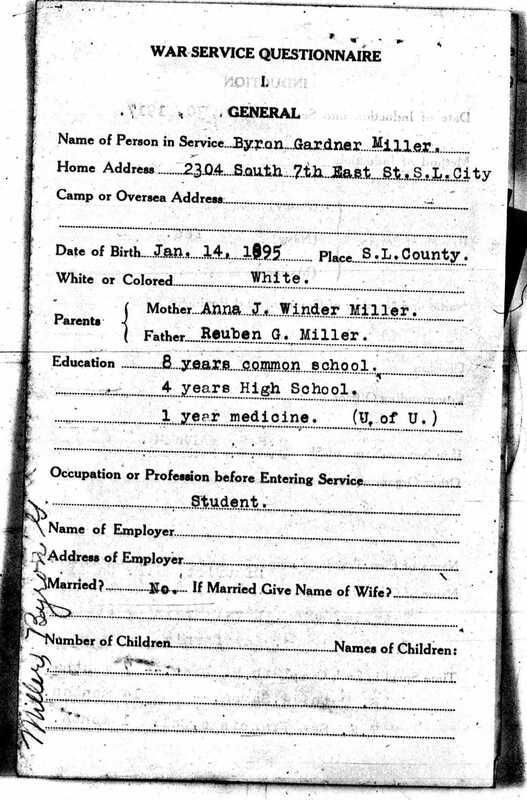 He enlisted with the National Guard in Portland in March of 1917 and reported for Federal service in June of that year. 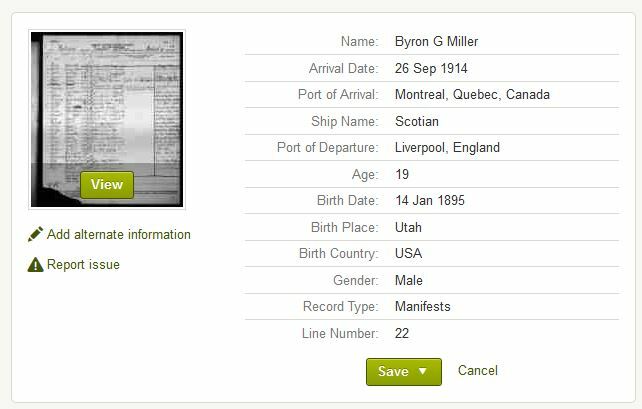 He was overseas from March of 1918 to March of 1919. 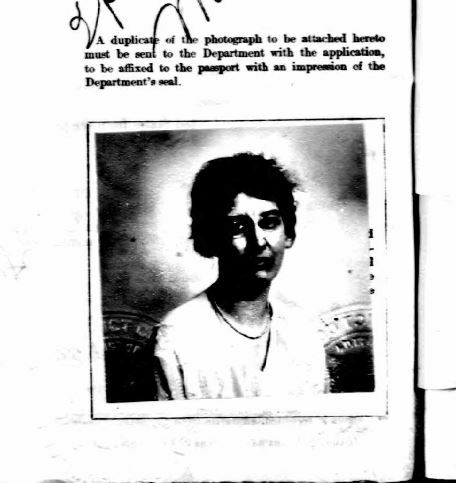 This photo was taken in either late March, or April or May of 1918. 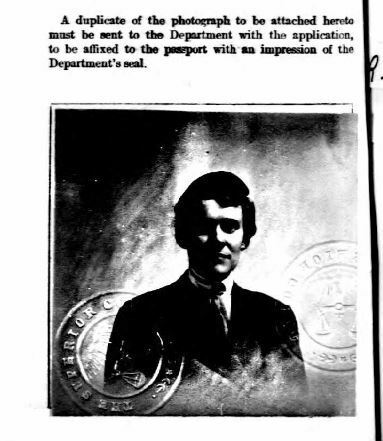 He was promoted in early June of 1918. 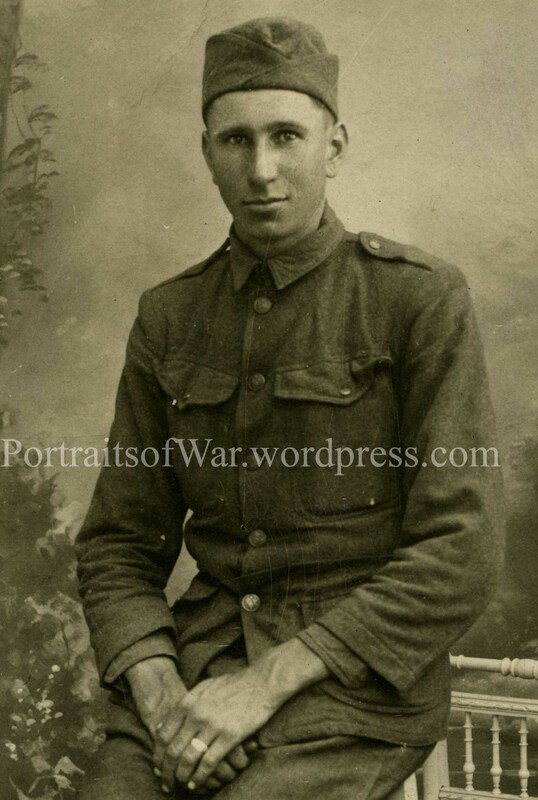 Since this photo shows him as a Corporal at the time of the photo, we know it was taken before his promotion. Also, his lack of OS chevron and the abundance of spats likely points towards an early photo taken in France. WORLD WAR I — 1917 – 1919The Coast Artillery Corps a Maine National Guard were mobilized on 25 July, 1917, and all companies, band, field officers, and non-commissioner staff officers reported on 27 July. 14 staff officers reported at Portland Coast Defenses and were assigned to duty in the Coast Defenses. 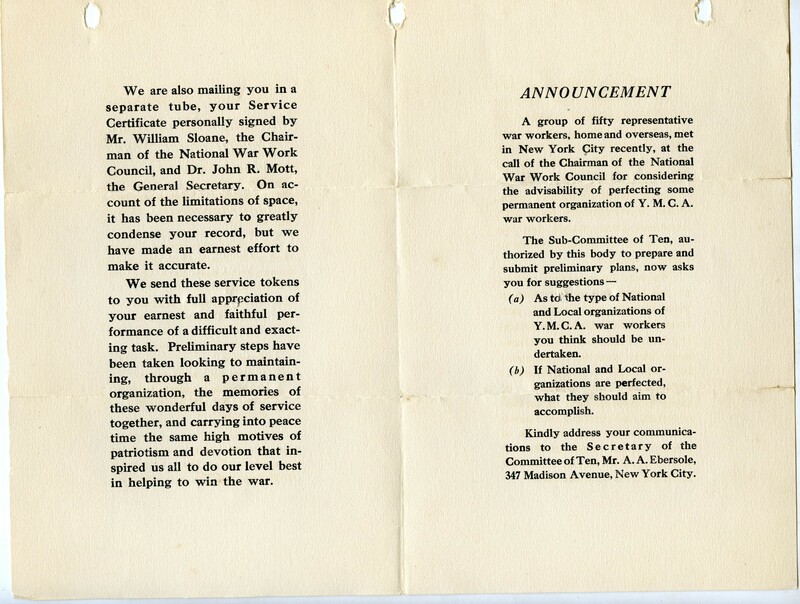 The several companies were re-designated at once. 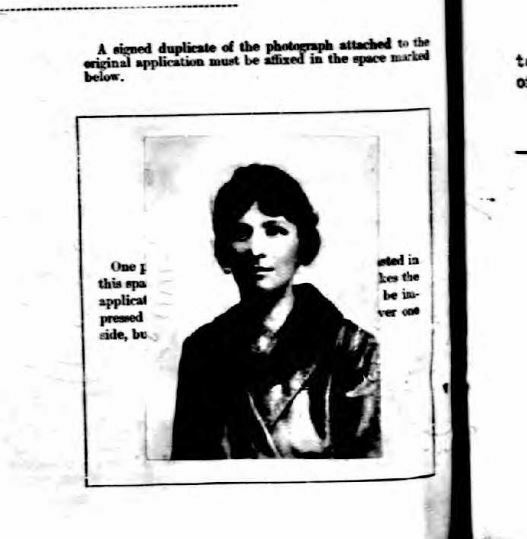 This designation was changed again on 23 August 1917, and on 25 December 1917, nine of the thirteen C.A.C. Maine National Guard companies were made a part of the 54th Artillery, C.A.C., the supply company and Batteries B, D, E, and F, of the new 54th Artillery, C.A.C. 6 inch guns (Motor drawn), were entirely constituted from the nine companies Maine National Guard. The 54th Artillery, C.A.C., was organized with a Headquarters Company, a supply company, and three battalions of two batteries each. Of the 6 batteries, four were taken from the Maine National Guard and from 25 December 1917, the further World War history of the C.A.C. Maine National Guard is properly that of the 54th Artillery since over 62 percent of its units were entirely Maine National Guard. In addition, only 30 percent of the units of the Maine National Guard were not included in the organization of the 54th Artillery C.A.C. This regiment was organized in Portland Harbor Forts on 25 December 1917, five of its units being formed from National Guard units and three from Regular Army units. Headquarters Company, and Batteries A and C from the Regular Army. Supply Company, from 20th Company, Lewiston. Battery B, from 4th Company, Portland, and 7th Company, Biddeford. Battery D, from 2nd Company, Portland, and 4th Company, Bath. 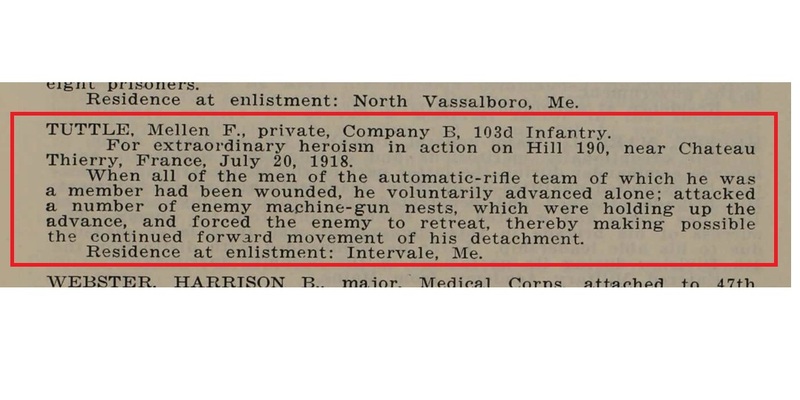 Battery E, from 3rd Company, Auburn, and 3rd Company, Kennebunk. Battery F, from 9th Company, Lewiston and 11th Company, Portland. Headquarters Company, Batteries C, D, E, and F, sailed from Portland, Maine, on the CANADA, 22 March 1918 and arrived Glasgow, Scotland 2 April, Winchester, England 3 April, and LeHarve, France, 6 April 1918. The Supply Company, Batteries A and B, left Portland 14 March, sailed from Hoboken 16 March, 1918 on BALTIC arrived LeHarve, France, 6 April 1918. 1st Battalion, Training Battalion (A and B Battery) Angers (Marne-et-Loire). After the Armistice the 54th Artillery was assigned to Brest, and part of the Regiment sailed 23 February 1919 on the Vedic arriving in Boston 7 March 1919. 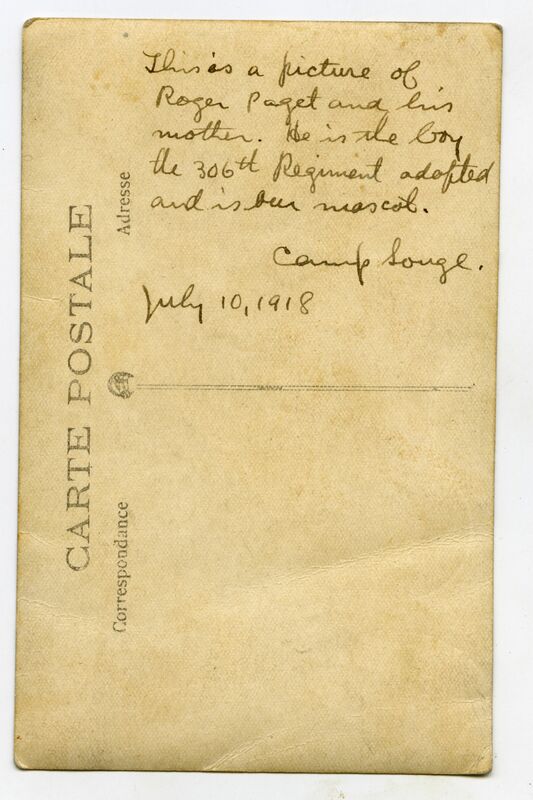 It was completely demobilized at Camp Devons by 13 March 1919. The four companies (1st, 6th, 10th and 12th) that were not formed into the 54th Artillery, C.A.C. 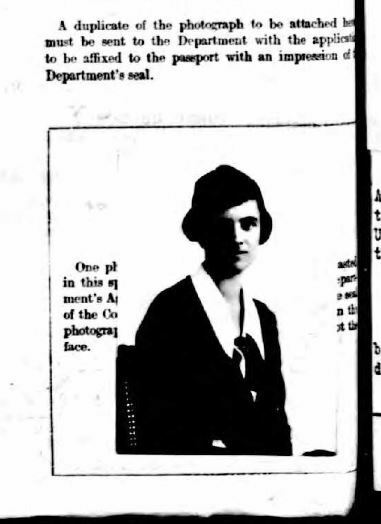 were demobilized in January 1919 at Harbor Defenses of Portland however, but few of the original members of the companies remained in them late in 1918. Two large transfers of enlisted men from these batteries were made. The first was made on 23 August 1917, to the 26th Division Artillery and Engineers. One hundred-sixty-nine men were taken from these four companies in the transfer. 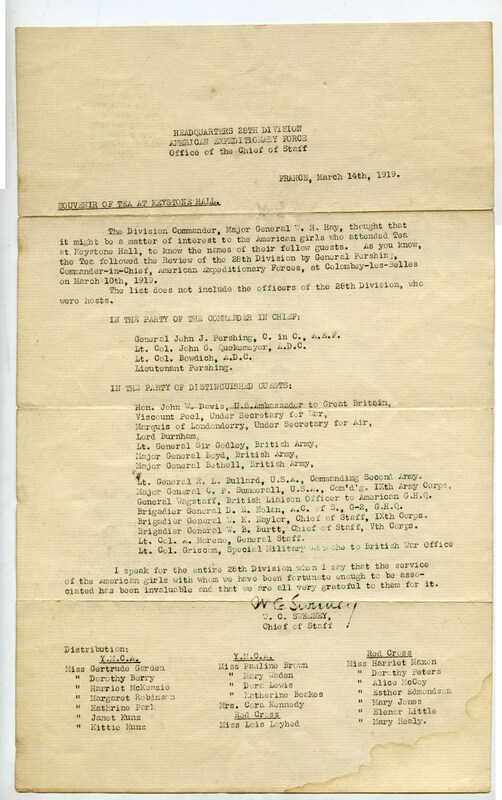 On May 31 1918, the other large transfer was made to the 72d Artillery, C.A.C. From the 1st Company, 147 men were taken, and from the other three companies large numbers. However, the transfers were made as individuals no units being reformed or discontinued. In July 1922, the regiment was reorganized and designated as the First Coast Defense Command, C.A.C., Maine National Guard. The regiment was formed into Headquarters, Headquarters Detachment, Band, Medical Detachment and 1st Fort Command. 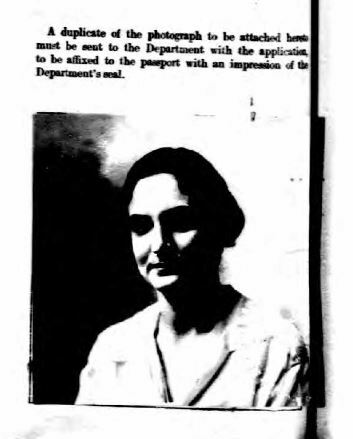 On 17 September 1923, the 1st C.D.C. 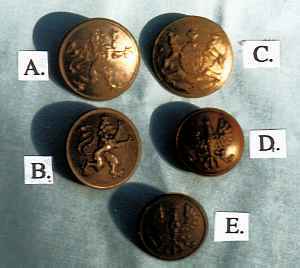 was re-designated as the 240th Artillery, C.A.C., and individual batteries as shown above. 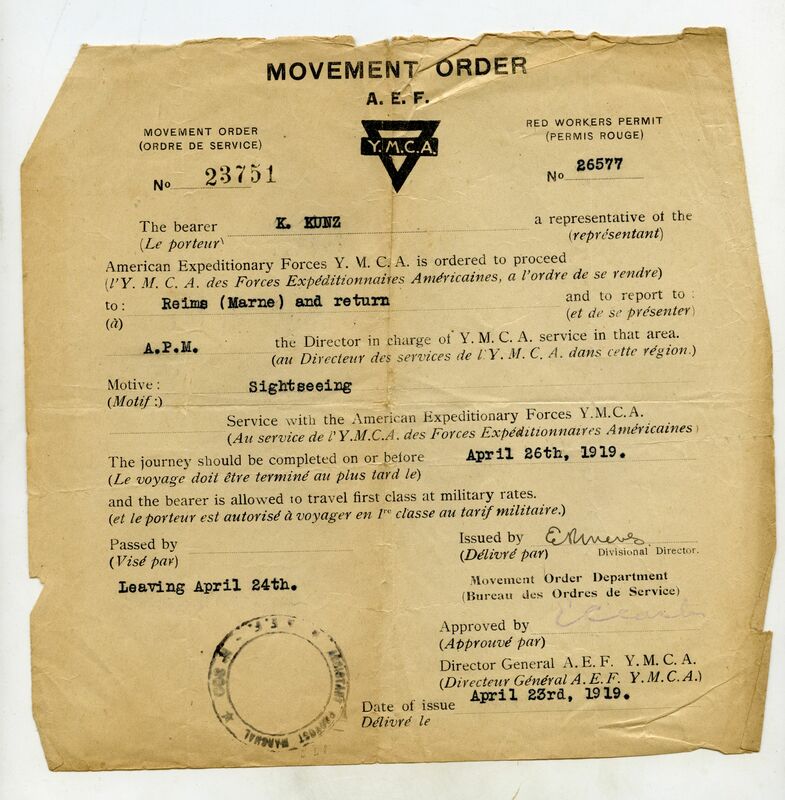 The designation was again changed to 240th Coast Artillery, Harbor Defense, on 16 April 1924. 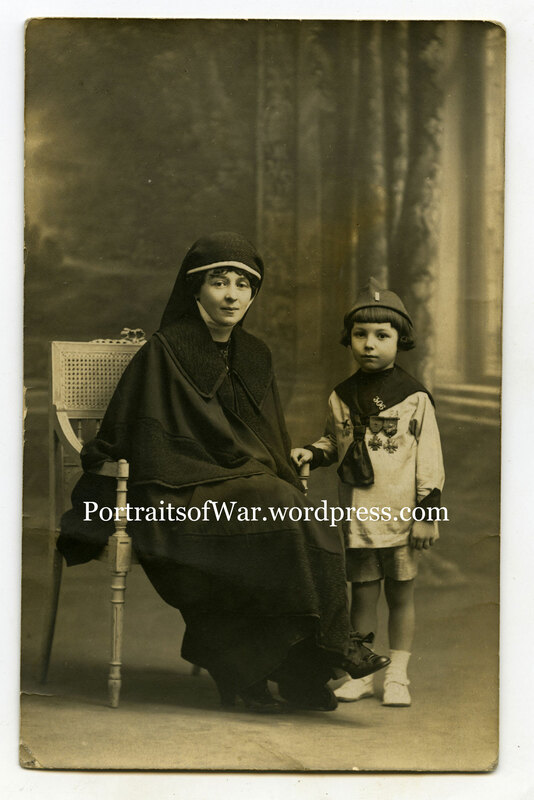 The cherubic face of the little French boy in a recent photo acquisition belies the true sadness he felt when his father (Henri Paget) was killed in action while serving with the French 8th Cuirassiers in April of 1918. 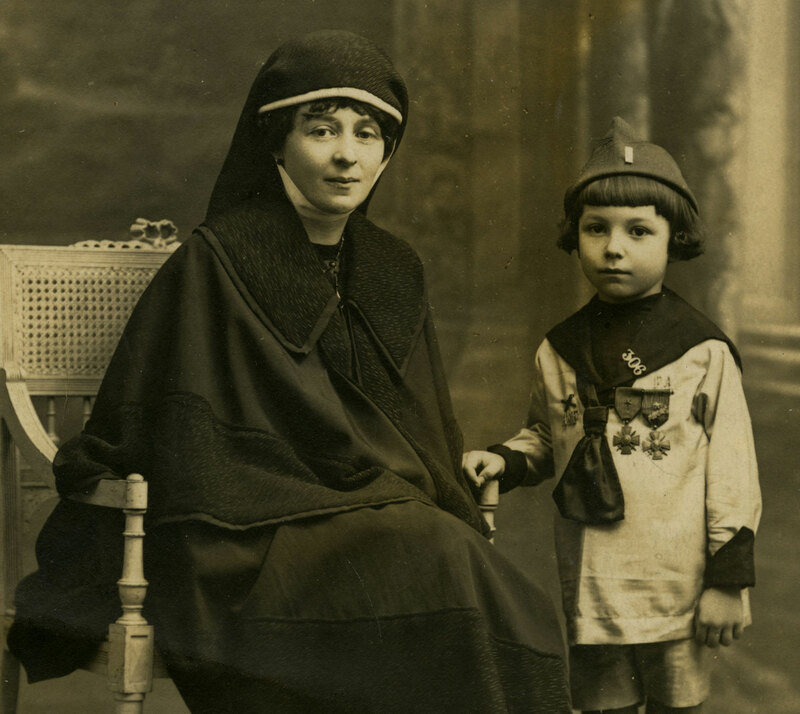 The boy can clearly be seen wearing a US cap with Lt. insignia as well as a pair of decorated French Croix de Guerre medals. 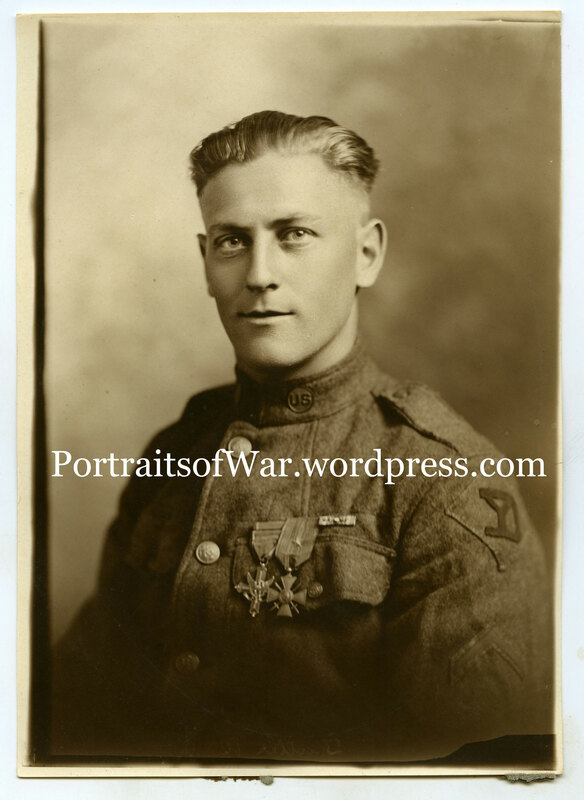 A quick bit of internet research turned up an interesting story related to Roger Paget and his role as unit mascot for the 306th Field Artillery. where most of our own men were killed in action. children of France, become a part of the regiment. boy himself stood on the table by his side. surely visit New York occasionally. of our comrades shared his noble sacrifice.